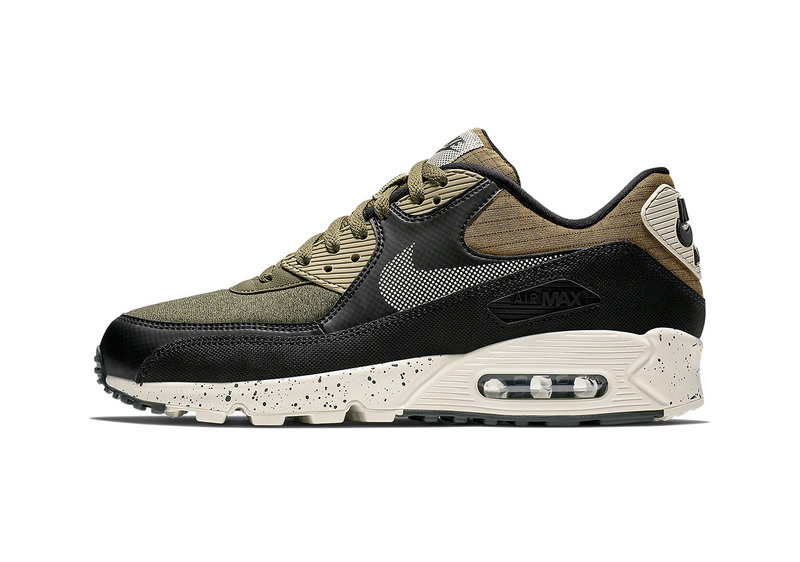 Nike‘s Air Max 90 gears up for the Fall season with a technical color scheme of “Back/Olive.” Following up on more vibrant editions of a flipped “Infrared” and “Laser Blue,” this latest colorway opts for neutral hues and a multi textile upper. Coming in Premium form, this Air Max 90 silhouette boasts a mix of leather, nylon and canvas at the upper with a pixelated white Swoosh and a patterned textile at the heel and tongue tab. Rubber paneling with ribbed detailing visits the lace eyelet and heel counter, while an off-white midsole with black speckling completes the intricate design. This Air Max 90 Premium “Black/Olive” colorway will release sometime in October at Nike’s web store and select retailers. For more Fall-ready sneakers, check out the Nike Air Force 1 High in a “Wheat”-themed scheme. Remarkable structures completed at affordable prices. Launching before the end of the year.